Author:Ms. Hala Alhamed: is a professional doctorate at the Delft University of Technology (TU Delft). She does her design project in the field of Integrated Urban Water Asset in Waternet in Amsterdam. Hala Alhamed is a board member of the international department in Het Koninklijk Instituut Van Ingenieurs (KIVI) and a member of the Expert Group on Water, Energy and Food Security Nexus – within the framework of the National Agenda for the Future of Syria II (NAFS) Programme developed and implemented by the United Nations’ Economic and Social Commission for Western Asia, UN ESCWA. Reviewer: Fanack Water Editorial team. 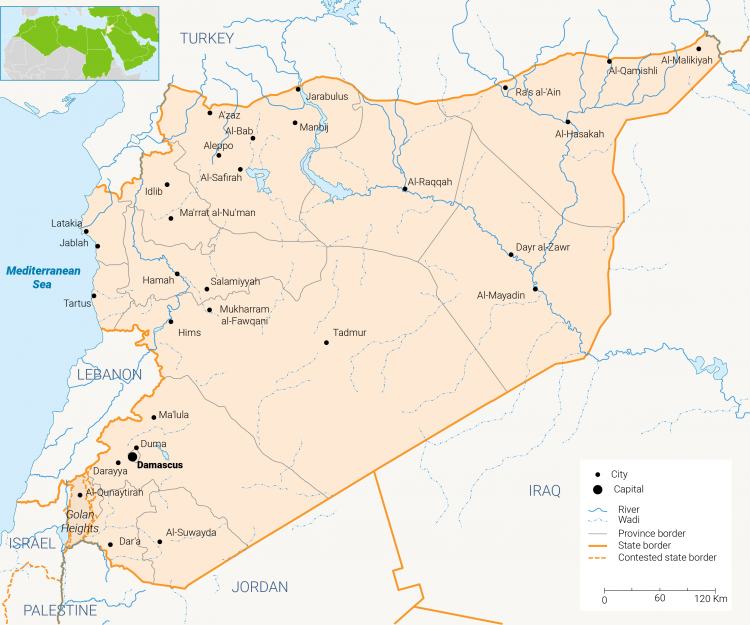 The Syrian Arab Republic is located in western Asia, within the Middle East. It is bordered by Turkey to the north, Iraq to the east, Jordan to the south, the Mediterranean Sea and Lebanon to the west, and Israel to the south-west. 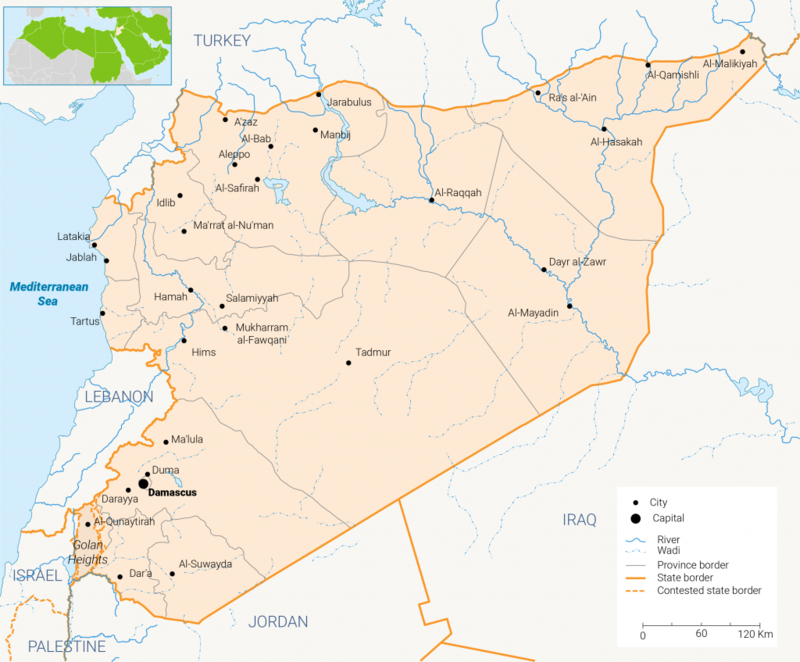 Syria’s topography encompasses highlands, plains and mountains. This topographic diversity and the country’s large size means it enjoys various climatic conditions. The Mediterranean climate in the coastal regions is characterized by hot, dry summers and mild, rainy winters. Inland, the climate is generally hot and dry in the summer and moderately cold in the winter, with snowfall at higher elevations. 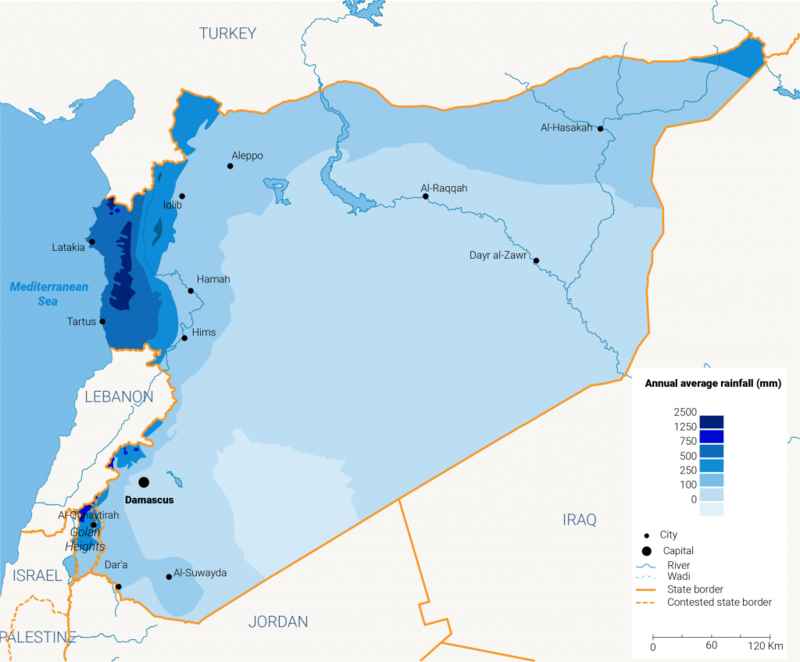 Syria’s territory is 185,150km2 and consists of 44.8% pastures and steppes (badia), 32.3% is suitable for agriculture (arable land), 3.2% is covered with forests and the remaining 19.9% consists of urban, rocky and sandy areas or rivers and lakes. 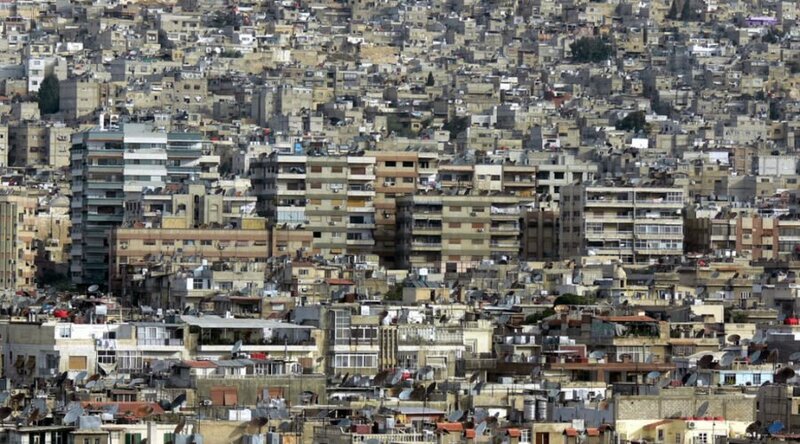 In 2012, Syria’s population stood at an estimated 22.53 million. By September 2013, this number had dropped to an estimated 22.46 million. In 2019, further declines have seen the population decline to an estimated 18.5 million. According to the United Nations (UN), this number is in constant flux. Because of the ongoing civil war, which started in 2011, an average of 5,000 people flee the country every day. By 2050, the population is projected to be 34.9 million. Syria is classified as a lower-middle income country, with a gross domestic product (GDP) of $60 billion in 2011. The economy has deteriorated dramatically since the beginning of the war, declining by more than 70%, as shown in Figure 1. The main economic activities are agriculture and industry. In agriculture, the main crops are wheat, barley, cotton, lentils, chickpeas, olives and sugar beets. Agriculture’s share of total GDP decreased from 25% in 2000 to 16% in 2011. However, it remains an important pillar of the economy in terms of labour. Some 17% of the labour force, or more than 1 million Syrians, works in agriculture. The main industries are petroleum, textiles, food processing, beverages, tobacco, phosphate rock mining, cement, oil seed crushing and automobile assembly. The contribution of these industries to GDP increased from 18% in 1963 to 30% in 2000, declining again to 24% in 2011. Figure 1: Contribution of different activities to the GDP in 2010. Figure 2: Syria’s GDP between 1960-2019. Abstracted from the Central Bureau of Statistics. 2017. Retrieved from www.cbssyr.sy/yearbook/2017/chapter1-EN.htm. Accessed on [19-03-2019]. World population review (2019). Retrieved from http://worldpopulationreview.com/countries/syria-population/. Accessed on [19-03-2019].